WASHINGTON Suicides in the U.S. military surged to a record 349 last year, far exceeding American combat deaths in Afghanistan, and some private experts are predicting the dark trend will worsen this year. The Pentagon has struggled to deal with the suicides, which Defense Secretary Leon Panetta and others have called an epidemic. The problem reflects severe strains on military personnel burdened with more than a decade of combat in Afghanistan and Iraq, complicated by anxiety over the prospect of being forced out of a shrinking force. Pentagon figures obtained Monday by The Associated Press show that the 349 suicides among active-duty troops last year were up from 301 the year before and exceeded the Pentagon's own internal projection of 325. Statistics alone do not explain why troops take their own lives, and the Pentagon's military and civilian leaders have acknowledged that more needs to be done to understand the causes. Last year's total is the highest since the Pentagon began closely tracking suicides in 2001. It exceeds the 295 Americans who died in Afghanistan last year, by the AP's count. Military suicides began rising in 2006 and soared to a then-record 310 in 2009 before leveling off for two years. It came as a surprise to many that the numbers resumed an upward climb this year, given that U.S. military involvement in Iraq is over and the Obama administration is taking steps to wind down the war in Afghanistan. The Army, by far the largest of the military services, had the highest number of suicides among active-duty troops last year at 182, but the Marine Corps, whose suicide numbers had declined for two years, had the largest percentage increase  a 50 percent jump to 48. The Marines' worst year was 2009's 52 suicides. The Air Force recorded 59 suicides, up 16 percent from the previous year, and the Navy had 60, up 15 percent. All of the numbers are tentative, pending the completion later this year of formal pathology reports on each case. David Rudd, a military suicide researcher and dean of the College of Social and Behavioral Sciences at the University of Utah, said he sees two main categories of troops who are committing suicide at an accelerating pace: Iraq and Afghanistan war veterans suffering from depression, post-traumatic stress or substance abuse, and those who have not gone to war but face troubled personal relationships, money problems or legal woes. He is not optimistic about a decline soon. "Actually, we may continue to see increases," he said. The Pentagon says that although the military suicide rate has been rising, it remains below that of the civilian population. It says the civilian suicide rate for males aged 17-60 was 25 per 100,000 in 2010, the latest year for which such statistics are available. That compares with the military's rate in 2012 of 17.5 per 100,000. Officials say they are committed to pursuing ways of finding help for service members in trouble. "Our most valuable resource within the department is our people. We are committed to taking care of our people, and that includes doing everything possible to prevent suicides in the military," Pentagon spokeswoman Cynthia O. Smith said Monday. Two retired Army generals, Peter W. Chiarelli and Dennis J. Reimer, have spoken out about the urgency of reversing the trend. "One of the things we learned during our careers," they wrote in The Washington Post last month, "is that stress, guns and alcohol constitute a dangerous mixture. In the wrong proportions, they tend to blow out the lamp of the mind and cause irrational acts." Joe Davis, spokesman for the Washington office of the Veterans of Foreign Wars, said war veterans have faced difficulty adjusting to the less intense environment of their home bases. 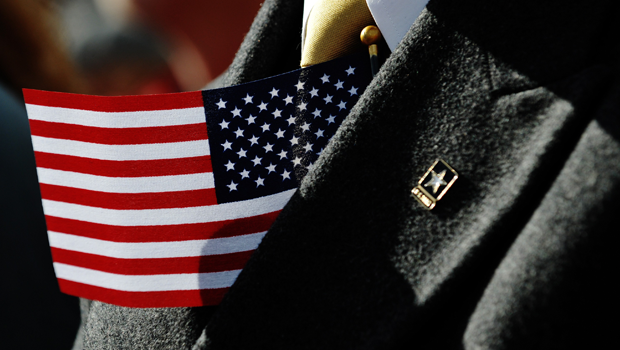 Others struggle with leaving the military in search of work in a tight civilian job market. "It's difficult to come back from a war footing to garrison life," he said, where more mundane problems intrude on troops who had been focused almost entirely on their war mission overseas  or on preparing for it at home. The analysis of 2011's 301 military suicides also found that the suicide rate for divorced service members was 55 percent higher than for those who were married. It determined that 60 percent of military suicides were committed with the use of firearms  and in most cases the guns were personal weapons, not military-issued.